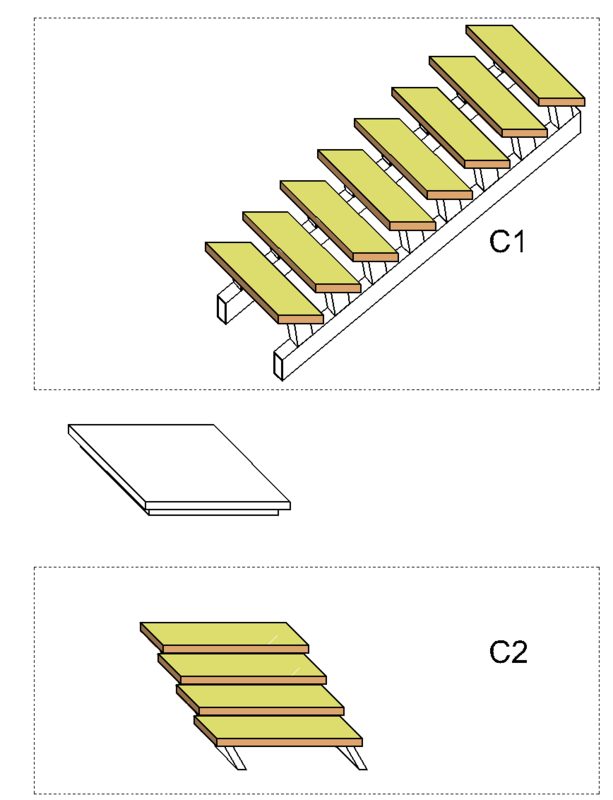 Z — thickness of steps – usually is a geometric parameter of the material (e.g. boards) from which you plan to build the steps. A – thickness of a stringer – a geometric parameter of the material (e.g. metal tubes) from which you plan to build the stringer. B – step supports thickness – a geometric parameter of the material (e.g. metal shapes) from which you plan to build the supports. H – distance between a stringer and a step – this is the shortest distance from a step to a stringer. For example, take the deep right corner of a stair and measure the vertical distance from it to the stringer surface. 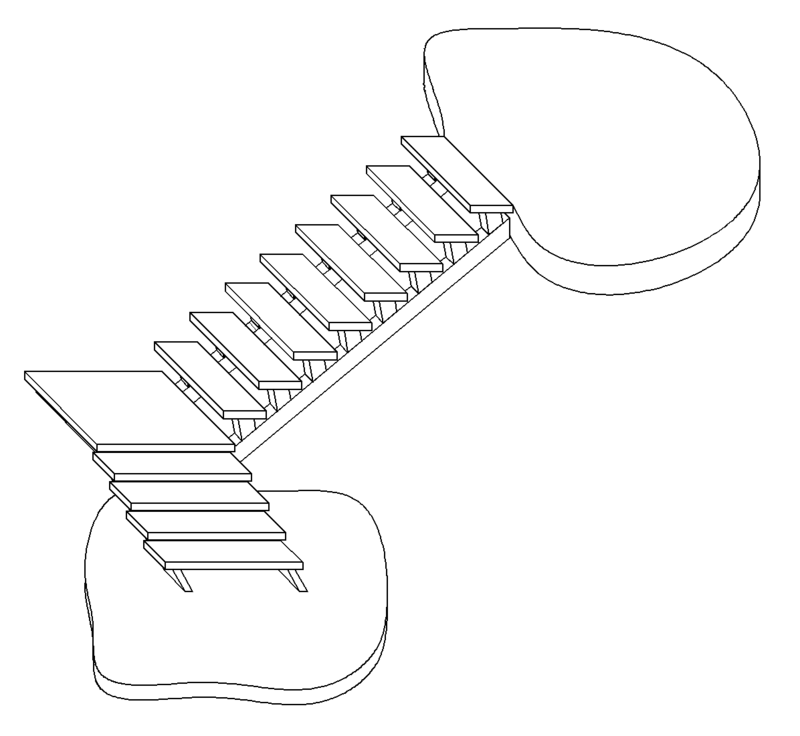 D – dimension – the distance by which a stair will hang behind the support in the direction of ascent. 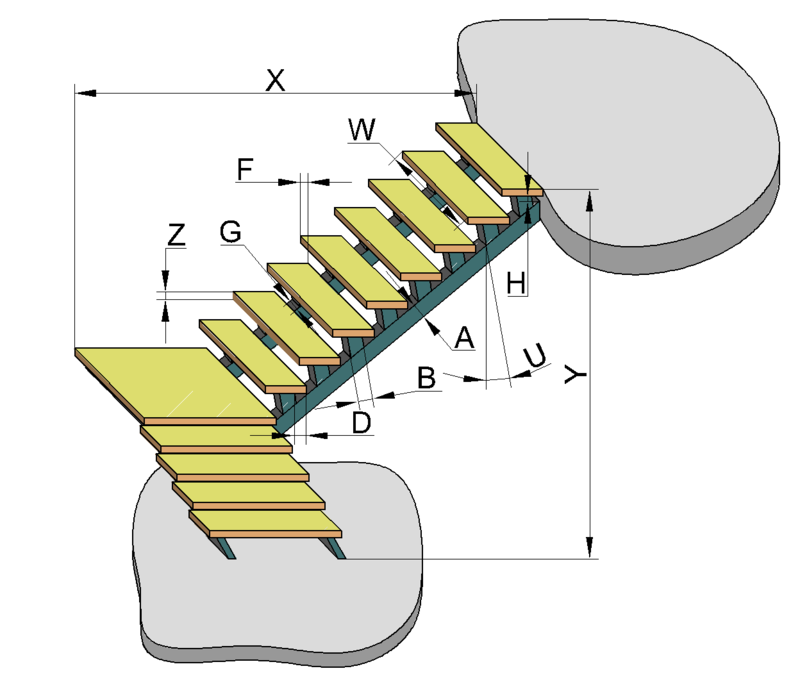 U – step support slope (towards a vertical line). C1 – number of steps on the upper part. C2 – number of steps on the lower part. T – number of stringers. Information required for construction of staircase stringers and step supports. This information serves to precisely construct the staircase parts, gives necessary parameters to construct staircase frame and steps.